Bel Air - When you arrive in Bel Air, you'll know you've arrived. Immaculate mansions steal away behind soaring hedges and towering gates in this celebrity homestead. Surrounded by LA's sloping chaparral, this Westside neighborhood boasts natural wonders alongside architectural splendors. Bel Air's relative inaccessibility contributes to its private feel and ultra-exclusive atmosphere. Here, it's much easier to explore by automobile. Beverly Hills - Playground to the rich, the famous and the glamorous, Beverly Hills is the home of some of California's most opulent homes, hotels and personalities. Visitors flock to the Hills to experience the allure of Hollywood, world-class shopping, fine dining and of course star-gazing. Give your credit card a real workout at top end boutiques and department stores on Rodeo Drive and Wilshire Boulevard, or dine in famous celebrity hangouts and watch for your favorite stars. Brentwood - Brentwood is one of L.A.'s most affluent neighborhoods, located on the Westside between Westwood and Santa Monica. Brentwood began as a Mexican land grant ranch sold off by the Sepulveda family. Its modern development started in the 1880s and today it boasts one of the lowest population densities in the city, with lush green pastures and coral trees along its main thoroughfare, San Vicente Boulevard. Read on for a guide to the area's essential stops, and get up close and personal with one of the Westside's most beautiful neighborhoods. Century City - Century City wouldn’t exist without 20th Century Fox: The neighborhood was built on one of the movie studio’s backlots. In 1956, Fox’s president decided to repurpose the land for real estate development and with the help of his nephew-in-law, an attorney who’s been dubbed “the father of Century City,” commissioned a master plan from an architectural firm. The first building went up in 1963. Culver City - While moviemaking sits at the heart of the city, you'll find far more things to do in Culver City outside of the film industry. The Westside city has become an increasingly pedestrian-friendly destination thanks to the arrival of the Metro Expo Line and the revival of Downtown Culver City—near the intersection of Culver and Washington boulevards—and the designated Culver City Arts District. Whether you're looking for a classic studio tour or one of the most indescribable off-the-beaten-path museums, you'll find plenty to enjoy among these essential things to do in Culver City. Malibu - Stretching for more than 30 miles along the Pacific and Highway One, Malibu has achieved almost mythological status among California beach towns. Hollywood stars and top athletes live in oceanfront homes here, under an elegant veil of privacy on long strands of beach, and enjoy front-row seats for surfing and unforgettable sunsets. While it may sound exclusive, there is plenty of Malibu magic for visitors to access too. Considered to have some of the most perfect waves anywhere, Malibu’s Surfrider Beach, just off the Malibu Pier, was named the first World Surfing Reserve; nearby Zuma Beach is a sun magnet for locals and families. In winter, Point Dume, at Malibu’s north end, provides an ideal perch for spotting migrating gray whales. Marina Del Rey - Know your grocer by name and invite your children’s orthodontist over for elegant dinners in Pacific Palisades, a far-west LA neighborhood that overlooks the Pacific Ocean. Multi-million dollar mansions perch along this sophisticated neighborhood’s cliff faces as its hiking trails cascade into the sea below. Getting to Pacific Palisades’ high-class boutiques and high-art museums is difficult without your own automobile, but you’ll be so enchanted by its lush terrain and first-class ambiance that you won’t notice its distance from Downtown. Pacific Palisades - Know your grocer by name and invite your children’s orthodontist over for elegant dinners in Pacific Palisades, a far-west LA neighborhood that overlooks the Pacific Ocean. Multi-million dollar mansions perch along this sophisticated neighborhood’s cliff faces as its hiking trails cascade into the sea below. Getting to Pacific Palisades’ high-class boutiques and high-art museums is difficult without your own automobile, but you’ll be so enchanted by its lush terrain and first-class ambiance that you won’t notice its distance from Downtown. Playa Vista - Playa Vista is a destination in its own right. This is where open space, recreation, entertainment, shopping and dining all come together to reinvent the way you live on The Westside. Everything is just a walk away. Santa Monica - Santa Monica offers a blend of urban energy, beach town atmosphere, world-class oceanfront hotels and a glorious Pacific Ocean setting that make it one of National Geographic’s Top 10 Beach Cities in the World. Top attractions include the iconic Santa Monica Pier and Third Street Promenade, as well as numerous restaurants, shopping and cultural attractions that have attracted celebrities for decades. Santa Monica’s award-winning culinary scene is renowned for fresh Farmers Market ingredients, diverse international influences and al fresco dining with ocean views. Shop for the perfect LA beach look at trendsetting boutiques and Santa Monica Place, a three level open-air shopping haven. Embrace the Santa Monica lifestyle and live like a local with beach yoga, surfing and bicycling. Venice - From its world famous boardwalk and beautiful beach to the shopper’s paradise of Abbot Kinney Blvd., Venice offers a unique and vibrant mix of activities and attractions. Originally called “Venice of America,” Venice was founded in 1905 by developer Abbot Kinney as a beachfront resort town. Kinney’s initial vision of creating a cultural mecca was set aside to accommodate the public, and Venice became the “Coney Island of the Pacific,” complete with an amusement pier and a miniature steam railroad. Kinney also created a system of canals and imported gondolas and gondoliers from Venice, Italy. Today, Venice is one of the most popular destinations in Los Angeles for visitors and locals alike. From its days as home to Beat Generation poets and artists, Venice continues to be an important Los Angeles cultural center. Whether you’re looking for some fun in the sun, a unique shopping experience, or a sophisticated evening of art and music, find out more about one of L.A.’s top neighborhoods. 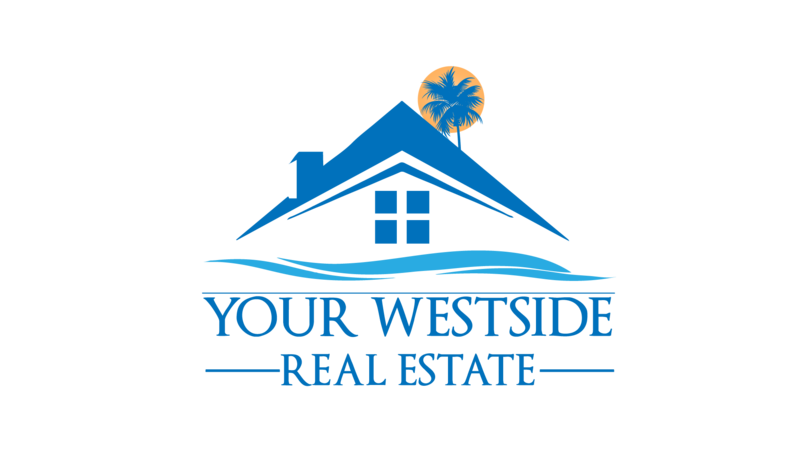 Westwood - Neighborhood charm, city style.The Westwood Village is a neighborhood that welcomes everyone, right in the middle of everything. Westwood Village is a vibrant, unique community centrally located in Los Angeles & serving neighborhoods of Westwood, Holmby Hills, Wilshire Corridor, Bel Air, Brentwood, Beverly Hills, West Hollywood, & Santa Monica. Westwood Village is easily accessible & provides a retreat for Angelenos from their busy, big-city lives. Westwood Village is a historical landmark, built in 1928 by the Janss family as a retail village. The architecture represents the historical relevance of this community & allows for a charming environment for visitors, residents, UCLA students, & people who work in the area.